This is in direct response to the current picture background on my Facebook page which is the same picture on the side here. Let me first say before we begin that I appreciate these exchanges as they are opportunities for me to grow and to reevaluate positions that I hold. It forces me to delve into the word of God to clarify and more precisely define my position. It forces me to accurately elucidate why I believe it’s a biblical position and stays true to the word of God. My reasons for this is not to cast aspersions on the writer. He has proclaimed profession in Christ and unless proven otherwise I will treat him accordingly. I consider this as a presentation of iron sharpening iron. My refutation will be in response to his specific statements. I will post these references so there is no confusion on what it is exactly that I’m referring. First of all, a church is an assembly. Almost 90% of all uses of ecclesia in the New Testament refer to a group of Christians gathered together in assembly. The rest refer to the Universal Church. Herein lies the problem. The author is focusing on the wrong word and contradicts himself. The word “church” is translated from the Greek ekklesia. ek which means “out of” and klesis which means “a calling.” In essence, the church is the body of called out ones or the ones who have been called out. This is in line with other references to the church like in Romans 8:28 where it mentions the called or kletos meaning saints, a direct derivative of the Greek klesis. The author says that the church is an assembly. That part is correct. The church is an assembly. However, it is not just an assembly but a specific kind of assembly. It is an assembly of the called out ones, those whom God calls which means that the church doesn’t make itself. God does. He already had an assembly of people. At one point there were five thousand. In another instance there were three thousand. If it was simply an assembly, He’d already accomplished what He set out to do. 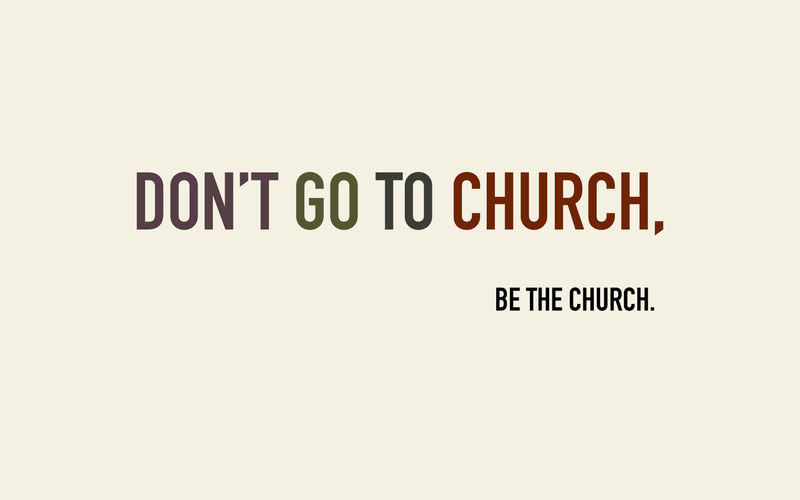 But as I mentioned, the church is not just an assembly. When using the term for a general assembly, two words are used in the Greek. The first is paneguris. Pan meaning all and agora meaning of any kind. This is the word used in contrast with the word church in Hebrews 12:23: To the general assembly and church of the firstborn, which are written in heaven, and to God the Judge of all, and to the spirits of just men made perfect. In that verse, it is talking about two distinct groups—the general assembly and the church—which means that they are not one and the same. Some scholars believe this includes the heavenly hosts. Others believe it’s the saints of old, i.e. the patriarchs and followers of God from the Old Testament period. The faithful before the church age. It very well could men both but it does not mean the church because it makes a contrast between the two. Another word used for an assembly is plethos which means a multitude found in Acts 23:7: And when he had so said, there arose a dissension between the Pharisees and the Sadducees: and the multitude was divided. Since a church—by implication—must originate from the church in order to be a true church, it stands to reason that there must be distinguishing marks to identify it as a part of the church. This is particularly so because Jesus refers to it as His church which implies that there there may be churches that are not His but in name only. They are not a part of the true church. This detail is key. The author states in a broad term that there is a difference between a church and the church. He states that a church is a group or assembly of Christians and that the universal church is…well…I guess something else which he doesn’t define but one could infer as being everyone else which implies inclusion of non-Christians. That would be false and all kinds of wrong. If he means all those who claim to be churches everywhere, then that would still be false because all churches everywhere are not a part of the true church. Many are false churches. The author states directly that the church is an assembly then turns around and says it’s a specific kind of assembly (Christians) which is a contradiction. Which is it? Is it just an assembly or a specific kind of assembly because it can’t be both. The biblical evidence presents the latter—in spades—as in exclusively. Since the term “church” is used to mean a specific kind of assembly or—as Jesus alludes to in Matthew 16:18—a specific kind of people (i.e. called out), the question must be asked, “What does it means to be a ‘called out one?’” Is it simply the gathering that’s being addressed here or a specific kind of people who make up the gathering? I’ll address this in my next post.